First look: Leonardo DiCaprio, Toby Maguire & Carey Mulliagan on Set in Warner's 'THE GREAT GATSBY'! A bunch of set photos from Baz Luhrmann's big screen adaptation of F.Scott Fitzgerald's classic novel The Great Gatsby have emerged online. 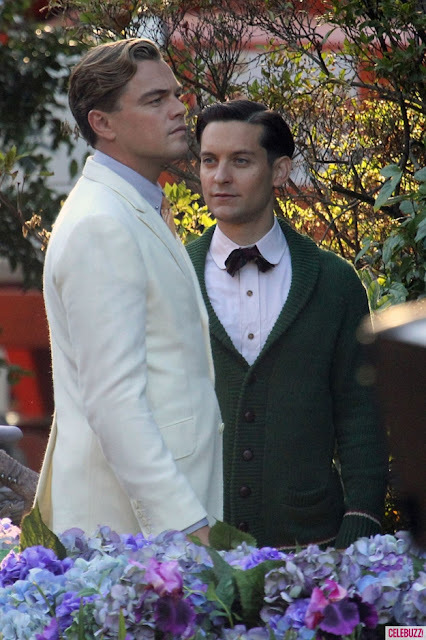 The images snapped in Sydney Australia reveal our first look at Leonardo DiCaprio, Toby Maguire & Carey Mulliagan in full costume. The novel is set in 1925, four years before the Wall Street Crash that led to the Great Depression & centres on this futile tragedy of an ordinary man trying to work his way into the privileged elite. 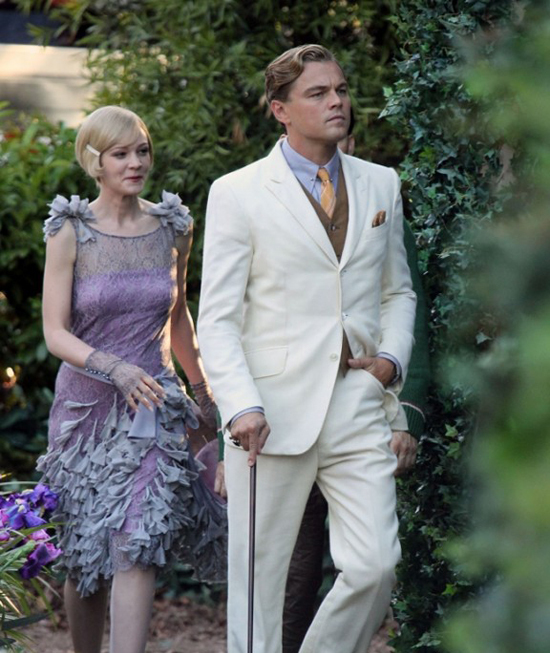 DiCaprio plays the self-made man, who amasses a mysterious fortune to gain the love of rich, spoiled Daisy Buchanan [Mulligan], only to be destroyed by her & her wealthy, boorish pillar of the establishment husband. 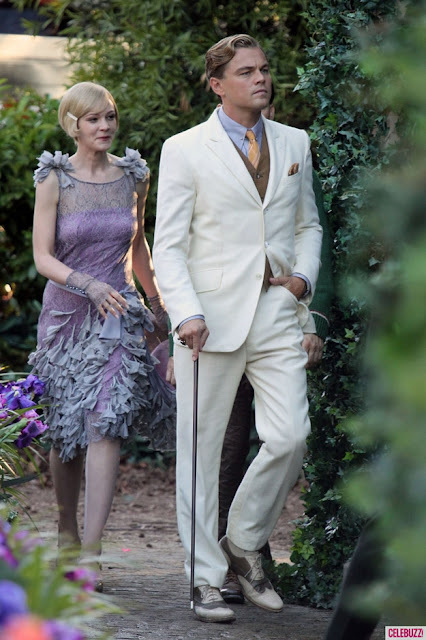 The adaption also stars Isla Fisher, Joel Edgerton, Gemma Ward, Callan McAuliffe, Amitabh Bachchan & Jason Clarke. The Great Gatsby hits theaters in 3D on Christmas Day in 2012. Hit the jump to check out the images. 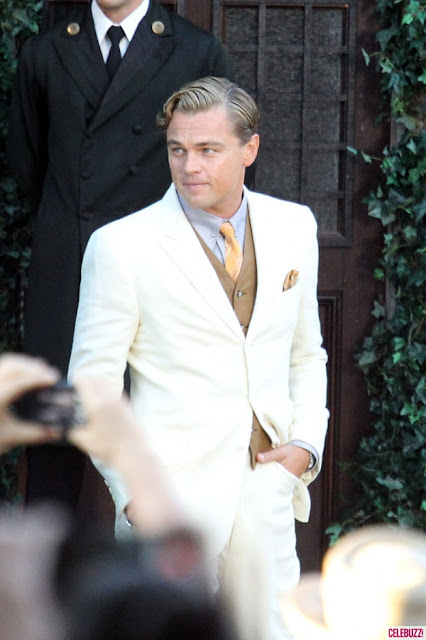 I'm reading: First look: Leonardo DiCaprio, Toby Maguire & Carey Mulliagan on Set in Warner's 'THE GREAT GATSBY'!Tweet this!